This guide is to help guys learn how to use pomade to style the best hairstyles for men. Because most cool men’s haircuts need some type of hair product, figuring out the right way to apply pomade to your hair is crucial. Whether these pomade hairstyles require volume, hold or texture, we’re going to teach you exactly how much pomade to use and how to style your short hair with pomade. After studying this step by step guide, you’ll know how to properly use pomade to style a slicked back, spiky, pompadour, quiff or comb over hairstyle. Here’s everything you need to know about pomade! 4 Apply Pomade To Wet or Dry Hair? Many of the best hair products for men are called “pomades”, but what is pomade exactly? Historically, men’s pomades were oil-based products used in greaser hairstyles because they provided a slick, shiny look. Unfortunately, oil-based pomades are hard to wash out and can sometimes cause acne. Nowadays, the best pomades are water-based. Popular water-soluble pomades come in a variety of formulas, offering guys different holds, finishes, and ingredients for all types of hair and styles. 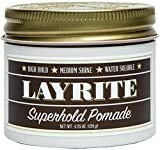 Plus, all the best pomade brands, including Suavecito, Layrite, Imperial Barber, Baxter of California, Uppercut, and American Crew, sell water-based products. Learn more about the benefits of pomade vs. wax vs. gel! To apply pomade to your hair properly, you’ll always need to warm it up by rubbing it between your palms, as directed earlier. Then follow these steps to style your hair with pomade. With both hands, massage the pomade into your hair everywhere, not just focusing on one part. Once pomade is evenly distributed throughout your hair, start styling your desired hairstyle. For slicked back hair, run your hands or a comb front to back repeatedly. If you’re styling a side part or comb over, find your natural part and start brushing your hair to the side. With spiked hair, pull hair straight up from the roots. And for textured or messy hairstyles, feel free to style with a comb and then texturize with your fingers. For extra hold and volume, guys may consider blow drying their hair in place. Some men prefer to blow dry their hair after they’ve applied pomade, while others rather style first and dry after they’ve finished. When buying pomade, the oil vs. water decision isn’t your only concern. 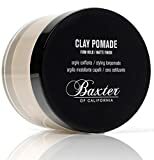 As we mentioned, there are different types of pomades offering medium to strong holds, matte to moderate to high shines, clay or wax ingredients, etc. Generally, thick hair and high volume hairstyles will require a strong hold pomade, while fine or thin hair and loose styles can manage with low or medium holds. Lastly, textured hairstyles are best styled with clay or wax pomades such as American Crew Fiber. Apply Pomade To Wet or Dry Hair? One of the trickiest parts about using pomade is not knowing whether to apply it to wet or dry hair. Most pomades should be applied to towel-dried, damp hair – not completely dry or wet. You want just the right amount of moisture to allow the styling product to be evenly distributed, especially for guys with curly or wavy hair. Dry hair absorbs too much, making it hard to work with, and wet hair dilutes the hold and makes hair clump together. With that said, some pomades specifically suggest applying to wet or dry hair, so read the instructions. Another consideration when styling hair with pomade is whether you want a high shine finish or matte, textured finish. Typically, applying pomade to dry hair is good for textured hairstyles. When it comes to how much pomade to use, the answer is always “it depends”. While we highly recommend starting with a small amount and applying more as needed, some men’s hairstyles will simply require more product, particularly for guys with thick hair. Ultimately, it’s easier to add more pomade to your hair than it is to remove, so start with a dime’s worth on your pointer finger. Now transfer it to the palm of your other hand, and rub your palms and fingers together until the pomade is equally coating both hands. In the end, there is no absolute right or wrong way to put pomade in your hair. If how you style your hair with pomade works for you, then continue to use your styling product the way you see fit.